4 Bedroom Detached House For Sale in Essex for Guide Price £1,425,000. 2 ACRES OF UNDULATING GARDENS VIEWS OVER THORNDON COUNTRY PARK CHARACTER PROPERTY SEPARATE POOL/GYM BUILDING TRIPLE GARAGE. 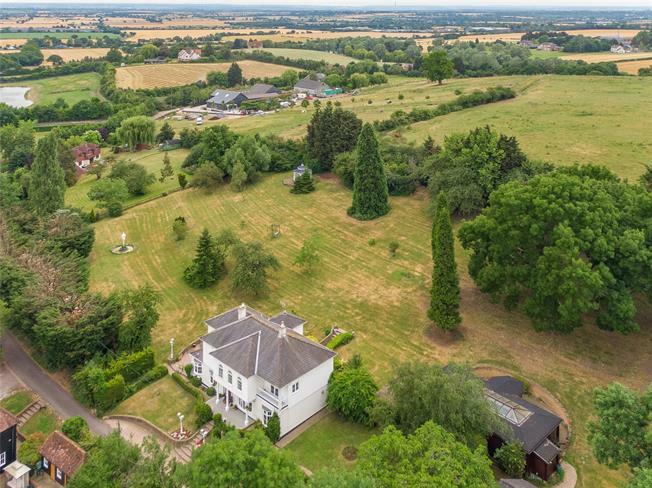 An impressive individually designed 4 double bedroom residence situated on a plot of 2 acres of undulating gardens offering views over Thorndon Country Park. Bramley is located in the village of Little Warley with good commuter links into London Liverpool Street and Fenchurch Street via Brentwood or West Horndon. This wonderful family home has well configured accommodation arranged over two levels incorporating three spacious reception rooms, large family kitchen, cloakroom, four double bedrooms (two en suites), a family bathroom and the master bedroom enjoying a generous dressing area. Outside the surrounding gardens also benefit from a separate indoor swimming pool which also has changing rooms and gym. The triple detached garage and paved driveway provides ample off road parking.